Purchased at Taylor’s Market ($6.99/22 oz. bottle) and poured into tulip glasses. Retribution pours a brackish orange with a creamy white head and a fruit salad of aromas on the nose, including peaches, bananas, strawberries, and guavas. Peaches are also present on the palette along with freshly mowed grass, giving the beer a cleaner and less resin-y finish than most Imperial India Pale Ales. The flavor profile is more focused on fruit and butterscotch malt than pine and hay, with even a little toffee and brown nuts emerging on the periphery. It’s more clean and refreshing than most brews of its’ type, and it should pair better with food than more hop-tastic IPA beers like Sculpin or Torpedo. Gifted by Tricia and poured into goblet glasses. Sierra Nevada’s take on the strong Belgian Quadrupel pours a dark toffee brown-black with a full, sand-colored head. The nose is a very subtle of mix of caramel, wood and dark fruits, especially apples, plums, and dates. 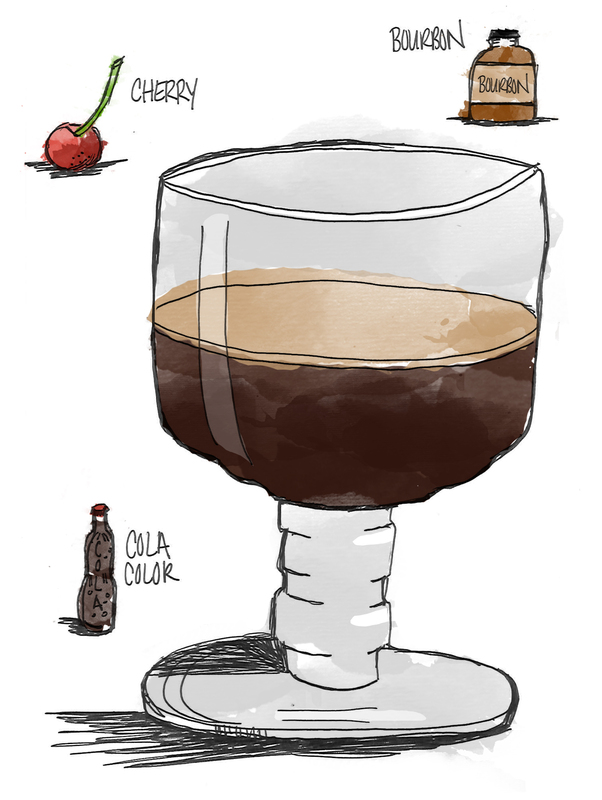 Ovila Quad offers a warm and rich mixture of dried fruit, toffee, and dry bitterness on the palette, with a warm hard alcohol aftertaste. 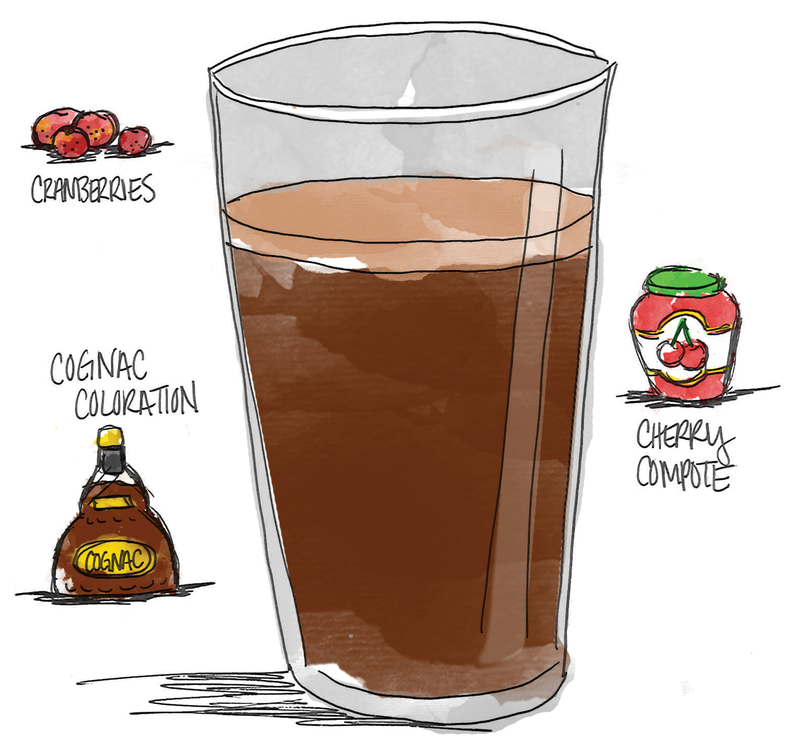 It has a flavor profile similar to that of a smoky scotch or a mild brandy, but with enough hops, chewy grains, and candied Belgian yeast to remain true to its beer roots. This brew is simply brilliant – a true strong Belgian Quad that still retains those wonderfully restrained Sierra Nevada flavors. Purchased at Corti Bros. ($4.19/16.9 oz. bottle) and poured into pint glasses. Bombardier pours rusty brown with a desert sand-colored head, and features a strong nose of dark fruits (especially cooking apples), some toffee, and syrupy British malt. There are more dark fruits on the tongue, but it’s less imposing than in the nose, with the sugars expertly balanced by the tart hoppiness. This is a pristine example of the classic English Bitter – sweet but not saccharine dark fruits on the palette, and a surprisingly crisp finish with just enough lasting bitterness to hold your attention between sips. I wouldn’t call it a bargain at that price, but the clean water and restrained flavors put Wells Bombardier a cut above the beers of its ilk. Purchased at Raley’s ($12.99/12-pack) and poured into pint glasses. Black and Brew is a new edition to Sam Adams’ Winter Classics Variety Pack, and easily the worst of a relatively mediocre bunch. 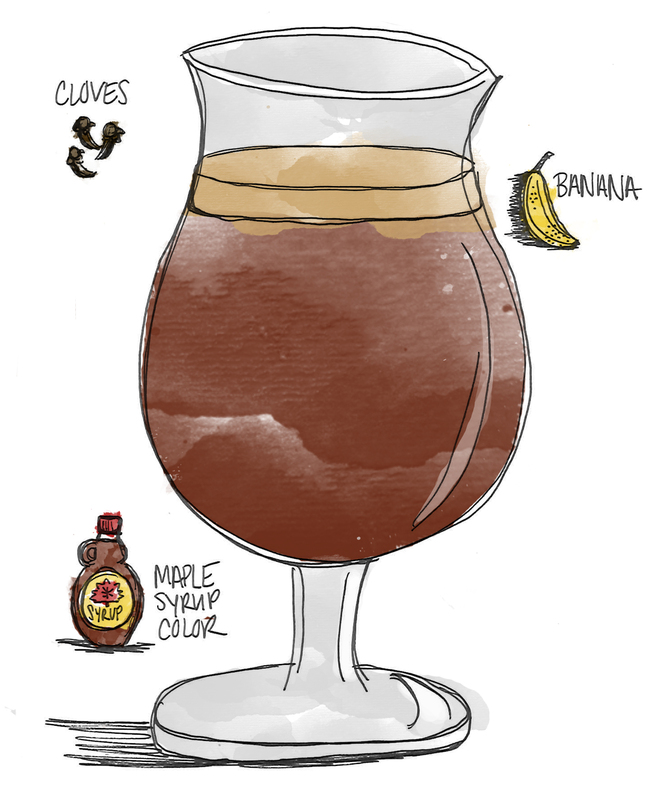 It pours a murky, black-brown color with a thick, cola fizz-colored head. 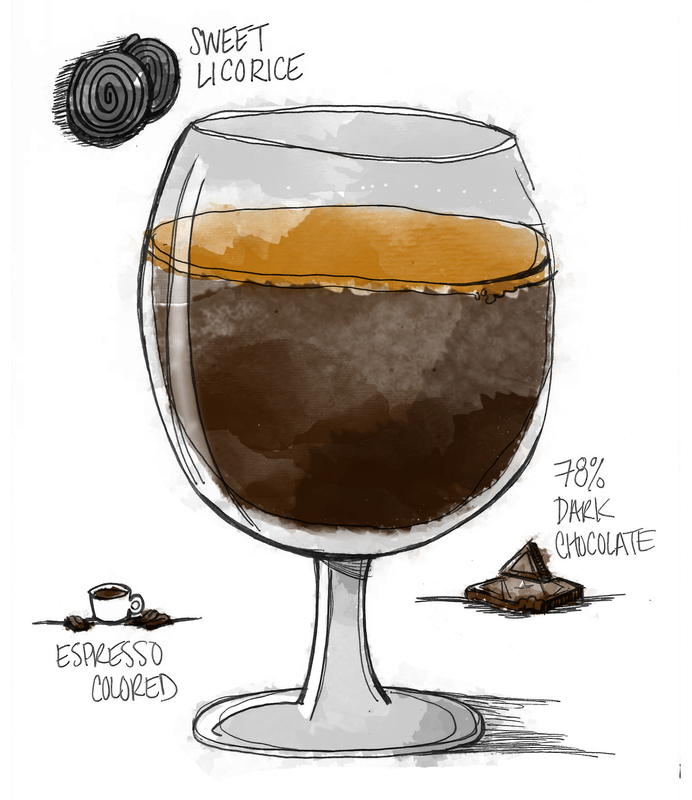 Coffee bean aromas dominate, albeit with faint traces of milky chocolate. Any chocolate on the tongue is completely obliterated by the coffee taste, thanks to the fresh beans directly added during brewing. There is more coffee than beer on the palette, although it has the faint backbone of an ale (more than a stout, as advertised). The coffee/beer taste combination leaves a tongue-curling bitterness that isn’t entirely pleasant, although the more beer-like qualities become more evident on the aftertaste. Black and Brew is drinkable enough, but it barely even attempts to skirt novelty status. Purchased at Total Wine and More ($9.49/22 oz. bottle) and poured into wine glasses. This Widmer Brothers’ Reserve limited release pours a cloudy orange with a very minimal white head, and the beer does not appear to be heavily carbonated. 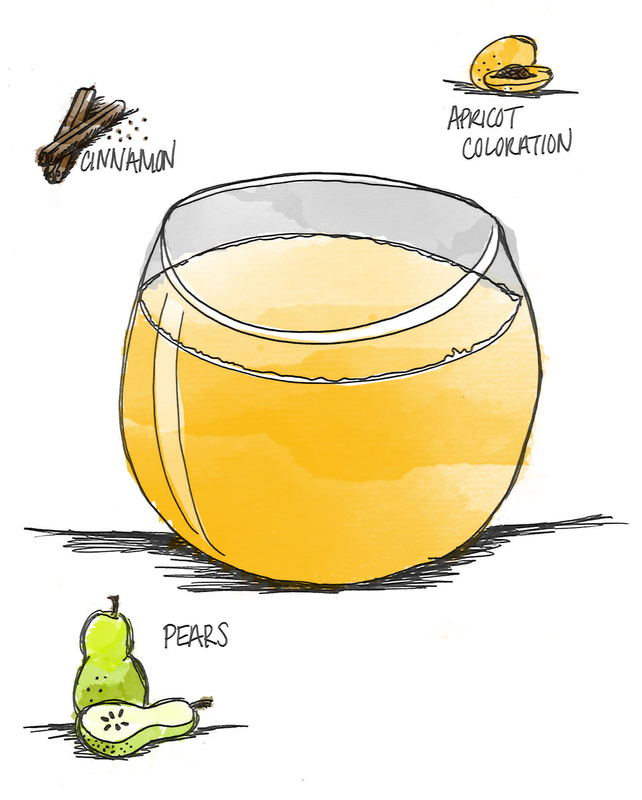 Fermented fragrances dominate the nose, including sour grapes, slight citrus, and worn wood, along with the corn syrup aroma of fruity gelatin candy. Its’ taste is almost cider-like, not particularly carbonated or hoppy, with the juicy lemongrass flavor finally coming through in the watery aftertaste. The lemon/wheat combination coming from Widmer Brothers can’t help but recall their American Hefeweizen, but this is a grassier, more taste-neutral take on that influential and well-traveled brew. This holiday seasonal, part of the Sam Adams Winter Classics Variety Pack, pours clear brown with a sandy head. A roasted smell is most prevalent in the weak nose, along with some winter spice, mild licorice, and coffee highlights. 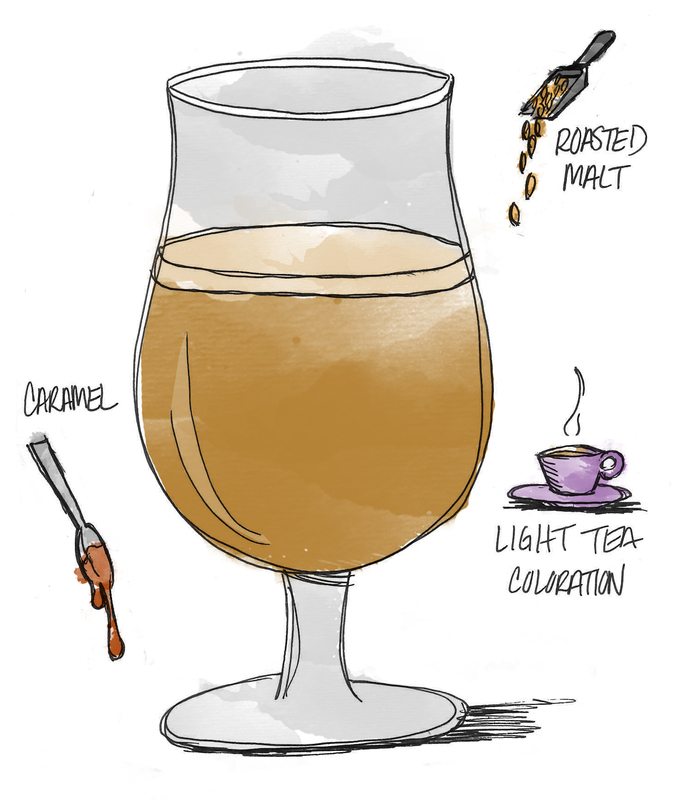 The roasted malt character is also prevalent on the tongue, along with hickory and a touch of bitter chocolate in the aftertaste. 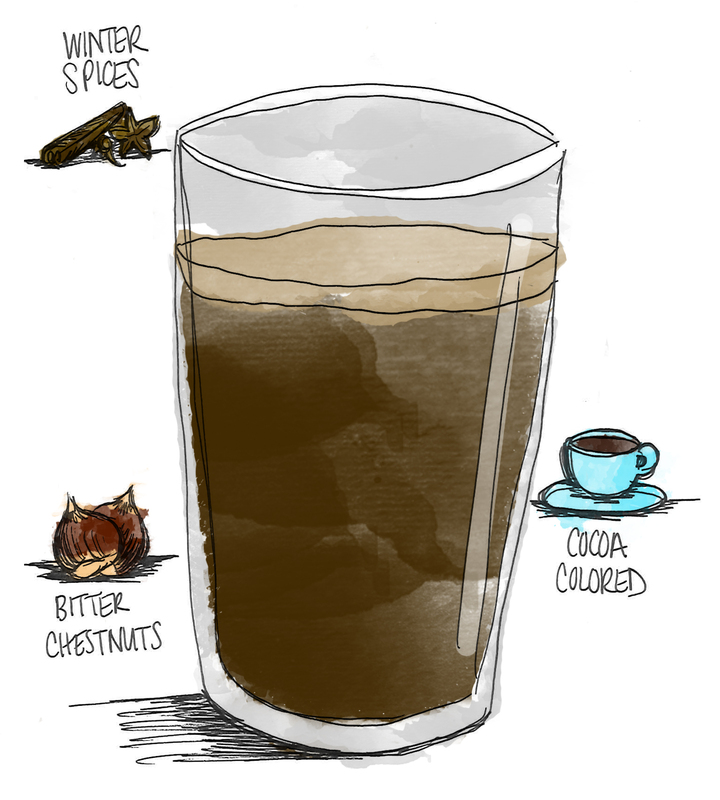 Cinnamon is the most notable spice, but it’s more smoky than spicy on the palette, like a batch of Christmas coffee. Old Fezziwig is decent but a little bland for my taste, especially compared to the spice rack approach of Anchor’s Christmas Ale, although it should make for a fine cold weather, beef stew beer. Purchased at Pangaea Bottle Shoppe ($14.49/25.4 oz. bottle) and poured into tulip glasses. This Christmas release from the great Brouwerij St. Bernardus pours maple brown with a copious but quickly retreating off-white head. The smell is of toffee, dried fruits, and the banana and cloves familiar to Belgian yeast, with hints of molasses and wintry spice. St. Bernardus Christmas Ale is tangy and sweet on the front end, with a wintry maple backbone, while spices (including ginger, cinnamon, and allspice) coat the tongue on the retreat. The introduction of tropical yeast strains into a spicy winter beer results in a unique and mouth-filling brew with the thickness and savory-sweet taste of banana bread, but the effervescence of an impeccably crafted Belgian ale. Purchased at Fremont Market ($8.99/6-pack) and poured into pint glasses. This 39th anniversary vintage of Anchor Brewing’s legendary “Christmas Ale” pours espresso brown with a light brown head. The nose presents a potpourri of holiday aromas, including roasted nuts, gingerbread, licorice, and various wintry spices. 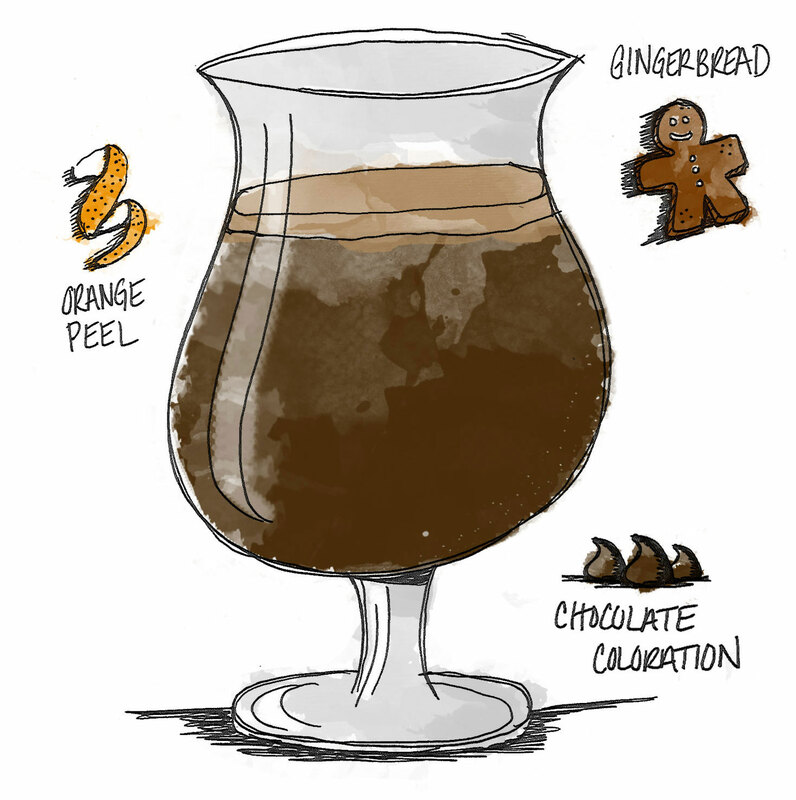 It is warm and bitter on the tongue with molasses flavors and a gingerbread-like chewiness present, but it finishes clean and quick. What’s left behind on the palette is an amazing mélange of spices, most notably allspice, ginger, nutmeg, cloves, cinnamon, and arguably some cardamom and star anise. The overall effect is savory instead of sweet, a perfect beer for slow-sipping by the fire after a huge holiday meal. Purchased at Taylor’s Market ($11.99/25.4 oz. bottle) and poured into tulip glasses. This is the 4th in The Bruery’s series of Christmas beers (the first was “Partridge in a Pear Tree”, the second “2 French Hens”, and so on), and it’s intended to be cellared for up to eight years. That might account for this dark Belgian brew’s notably immature taste, much like an unripe fruit plucked before its time. 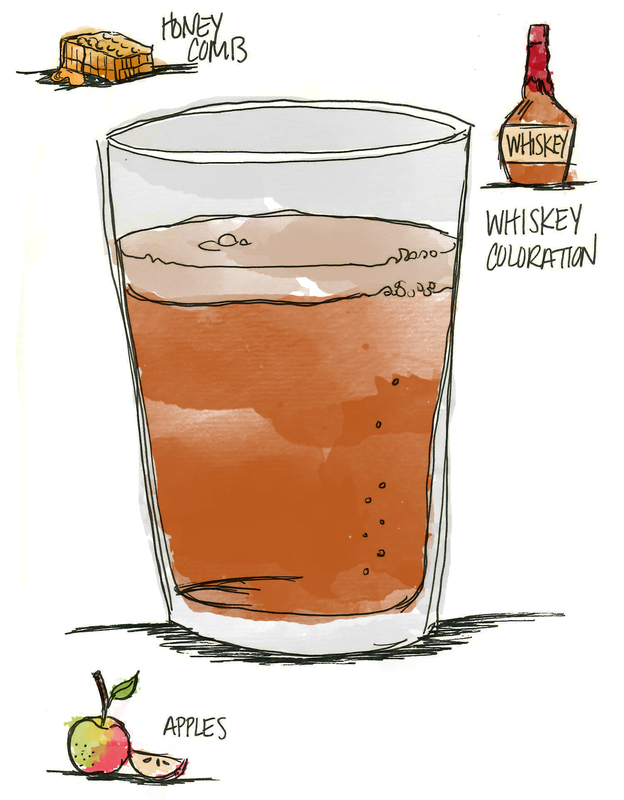 It pours a brackish brown color with a minimal light brown head, and smells of gingerbread and savory spices. A wall of mouth-filling ginger and chewy spice (especially allspice) overwhelms the tongue, giving way to a strong, bitter chocolate aftertaste. It grows in complexity the closer it gets to room temperature, with molasses and even slight citrus zest entering the picture. I would love to taste this beer again after it’s been cellared for a few years, when the bakers’ chocolate flavors would presumably settle into something silkier. Purchased at A&P and poured into globe glasses. This beer was brewed as a tribute to Hunter S. Thompson, although every story I’ve ever heard involving Thompson and beer had him consuming mass quantities of cheap yellow crap, not contemplatively sipping Imperial Porters. 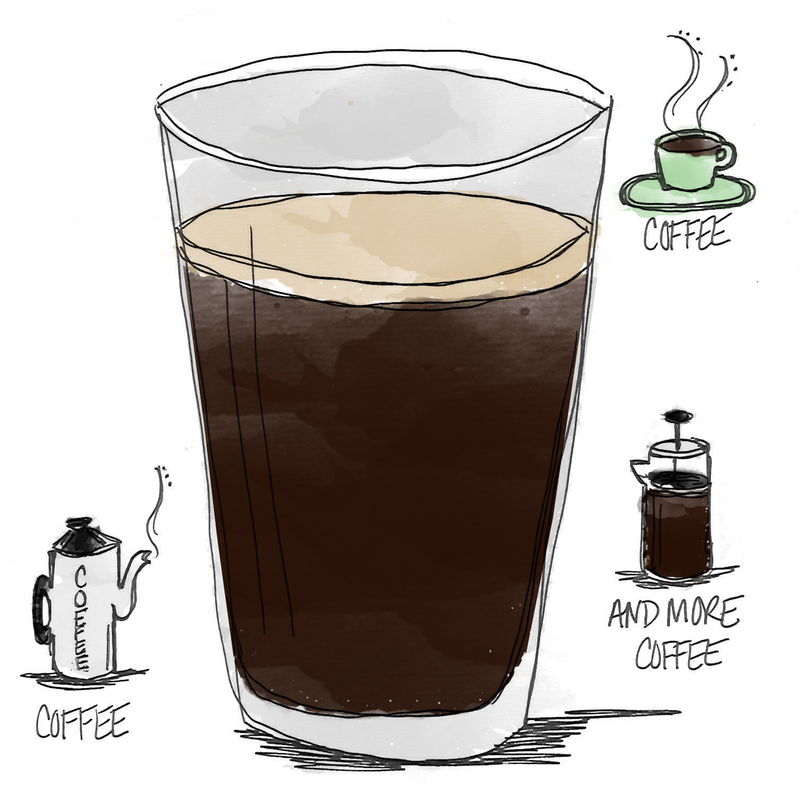 Regardless, Gonzo, which pours dark black with a fluffy, coffee foam head, is pure brilliance. Rich mocha is also present in the nose, which offers a mixture of dark chocolate and fresh coffee beans, as well as fain dark fruits. Chocolate and coffee are the most prevalent flavors, but there is nothing cloying or cute about this beer. A bitter but not overwhelming kick awaits you on the back end, and there are even mild berry flavors that recall African coffee and expensive chocolates. The flavors exist in perfect harmony – strong but not bullying, chocolate-y but not too sweet, bitter but never unpleasant.